Are you uncertain if your boiler needs servicing? It is vital to regularly service your boiler to ensure that it won’t need an unexpected, emergency repair. Combi-Nation provide a fantastic annual service which prevents you from needing emergency boiler repair in Southampton. Our highly qualified team have years of experience ensuring that your boiler is operating both safely and efficiently for you and your family. Combi-nation offers an emergency boiler repair Southampton service that puts them far ahead of other businesses in the field. With years of experience behind them, the skilled team at Combi-nation deliver a comprehensive service to Southampton emergency boiler repair. Safety – Carbon monoxide, referred to as the silent killer that claims the life of around 1 person a week in the UK and leaves 200 a year seriously injured. To avoid this risk it is vital to ensure that your boiler is serviced and maintained to the best standard for the safety of you and your family. Comfort – nobody wants their boiler to break down unexpectedly during winter. Excessive use during this period can cause them to break down which is even worse when coupled with how busy gas engineers are at this time. To avoid this, use Combi-nation for the best emergency boiler repair in Southampton. Efficiency – A serviced boiler makes a more energy efficient boiler. Our Southampton emergency boiler repair team inspects boilers for faults with operating parts. This saves you heaps of money on potentially replacing a boiler, as well as prolonging your current boilers usage. Our inspection service includes a comprehensive emergency boiler repair and check. Our expert team will check the boiler for corrosion and any poisonous emissions, conduct a flue test, a gas pressure check and even clean your boiler. This service makes Combi-nation the leading choice for Southampton emergency boiler repair. Here at Combi-nation, we make it our personal goal to deliver a complete emergency boiler repair service in Southampton whilst addressing a customer’s every specific requirement. At an affordable starting price of £79.30 a year, this fantastic Southampton Boiler repair service is available 365 days a year, with our immediate attention given to emergency boiler repairs. Are you too busy to remember if your boiler needs servicing? Combi-nation has you covered with our annual reminder service for if you are in need of emergency boiler repair in Southampton. We understand that an around the clock emergency boiler repair service is essential for the safety and comfort of clients. We always prioritise emergencies and you can be assured that we will deliver an excellent service for all emergency boiler repair Southampton requirements. 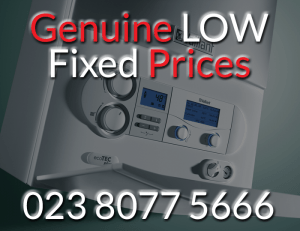 Contact Combi-nation heating today for the very best Emergency boiler repair Southampton.